Embiid isn’t too happy with that prognosis, saying yesterday that it was “disappointing” and imploring the Sixers to listen to him because his knees felt “fine.” Today he used some stronger language. 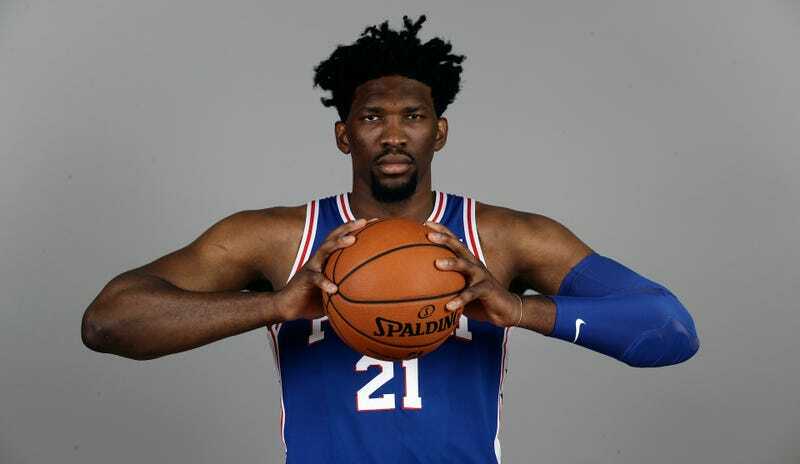 When Embiid gets on the court, he is God’s honest truth, but with a long history of knee, foot, and back injuries, it’s probably worth letting him get settled in and comfortable before ramping him all the way up and letting him bang for 36 minutes a night. Brett Brown recently called his style of play “reckless,” which is both accurate and uncomfortable. He’ll get there (hopefully), but after two and a half seasons on the shelf, it’s no surprise that he wants to get out there and start wrecking right now.